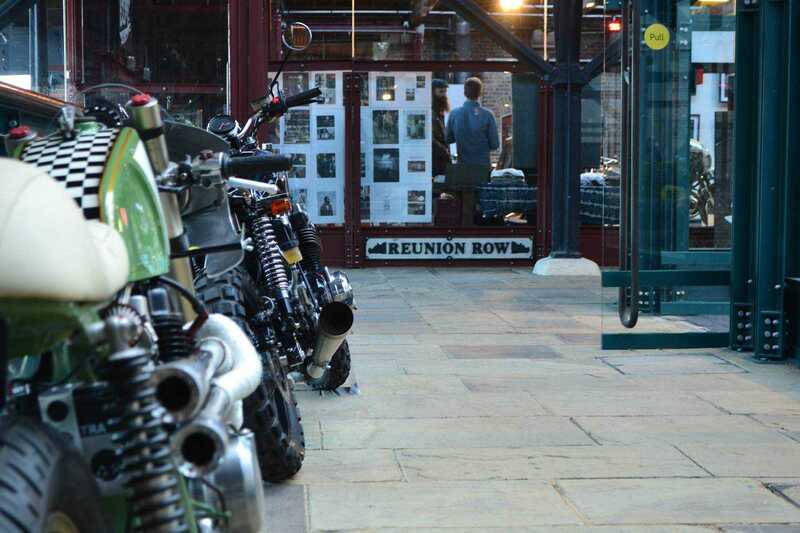 Anyone who read ‘The Posh Boys Bike Club’ and ‘Underneath the Arches’ (issues 179 and 184 respectively) will be familiar with the ‘Bike Shed Motorcycle Club’ (BSMC), a virtual meeting place where like-minded souls can gather to compare notes and pictures of their ‘shed builds’ and discuss what’s hot and what’s not. 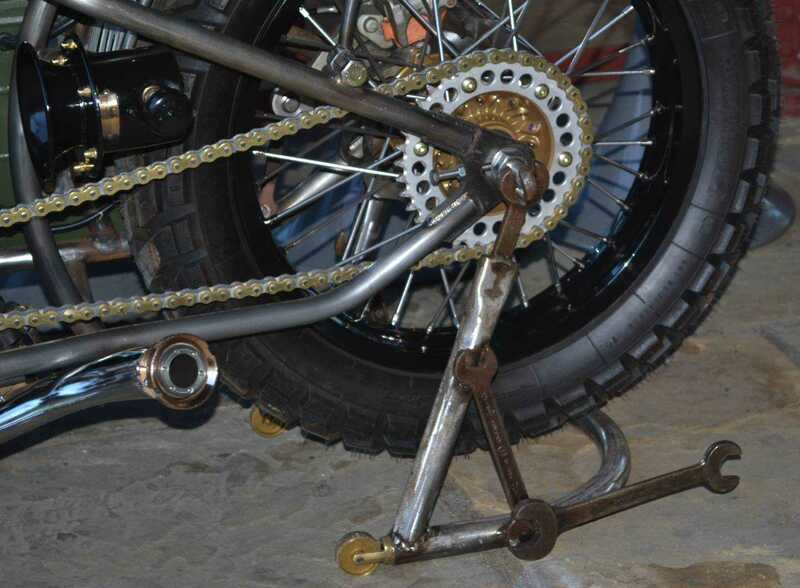 For the uninitiated, a ‘shed build’ isn’t necessarily putting together a new home for your Flymo; it’s a motorcycle that had seemingly reached the end of its useful life, only to be picked up by a modern day Dr Frankenstein, and given the whole ‘Steve Austin’ (Six Million Dollar Man – ‘Gentlemen, we can rebuild him…’) makeover, complete with a ‘bionic’ robot arm, a big ugly eye with a zoom ability of 20:1 and legs that can reach 60mph. OK, that’s not strictly accurate, but when I went along to The BSMC’s ‘The Event’ II at Shoreditch last year quite a number of the ‘shed builds’ on display were wearing tyres that I wouldn’t feel comfortable doing any more than 60 on, notwithstanding the fact that my Khyber would be perched on a thinly padded bicycle saddle about an inch from an unguarded rear wheel sporting motocross knobblies. 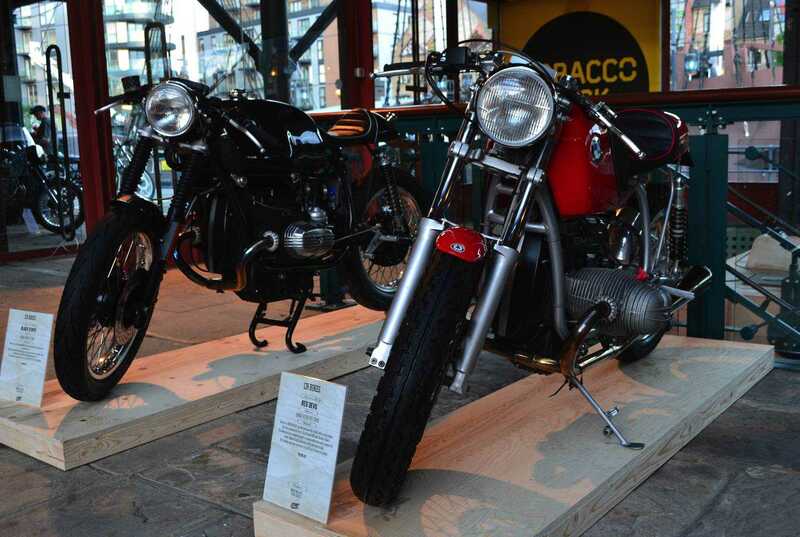 This year I was fortunate enough to blag my way into the launch party for the latest evolution of BSMC’s ‘Event’, this time at Tobacco Dock in Wapping, under the subtitle ‘Go big or go home’. But more of that later. 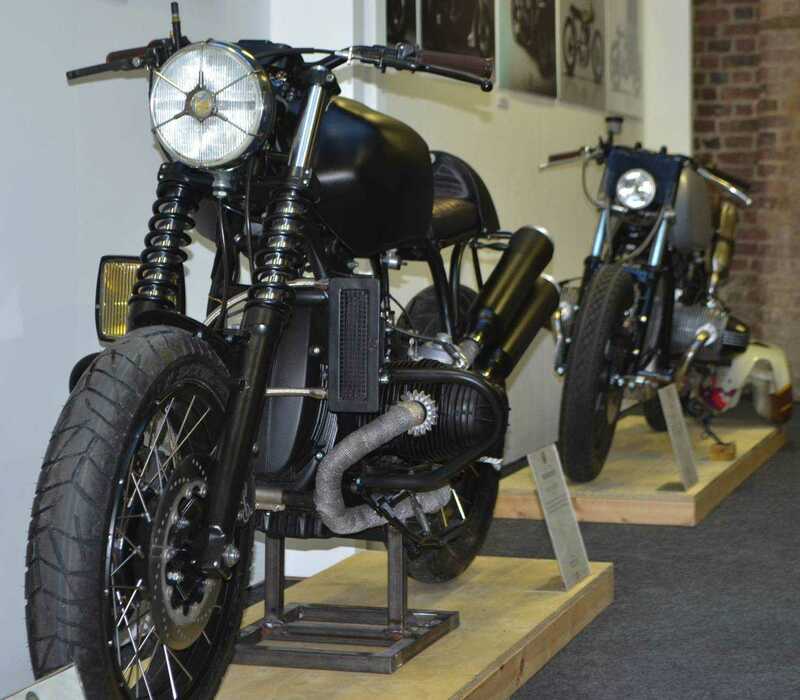 And so it was that the BSMC came to be, featuring machines from design and build ‘regeneration’ outfits including Spirit of the Seventies (see ‘Grand Designs’ in issue 171) and Untitled Motorcycles, the site quickly established a following from those looking for something more to their bikes and lifestyles than could be provided by main dealers, with the possible exception of Harley Davidson franchises. 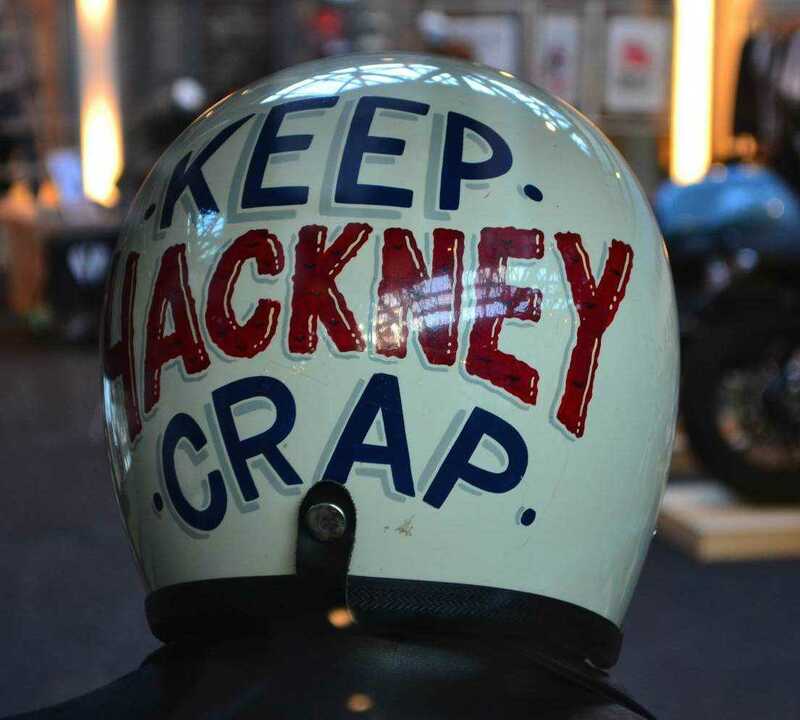 But alongside this passion for individually remodelled motorcycles, a growing trend was developing for the riders (and those who associated with them) to adopt a fashionable ‘look’. 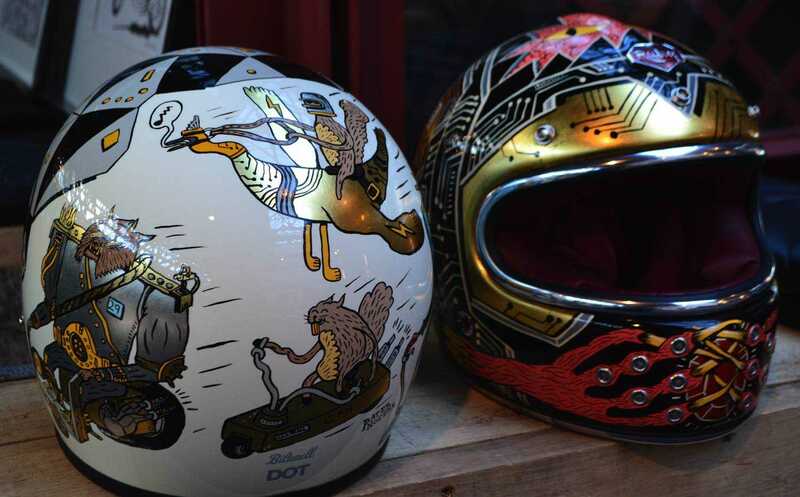 No longer was it enough to ride a cool retro styled bike, you also needed to wear the right threads and sport an appropriate helmet, regardless of whether or not it afforded what some might deem appropriate protection from the elements and indeed terra firma. Just like the mods. 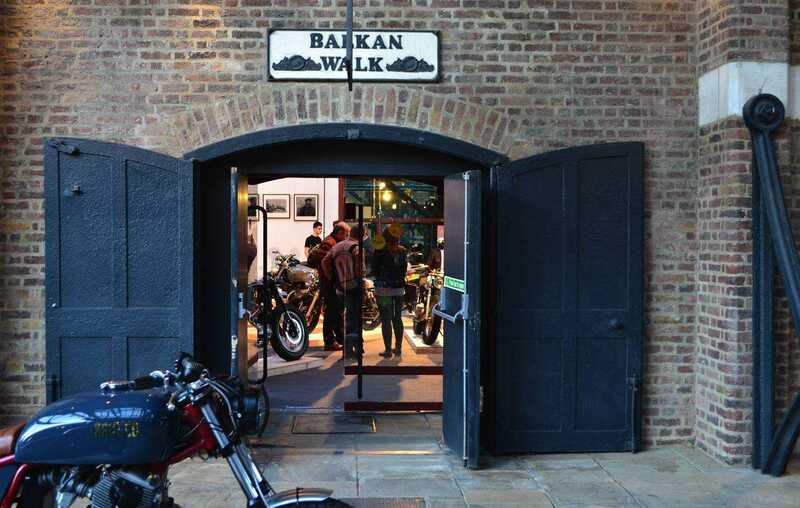 Which brings us nicely back to BSMC’s ‘The Event III’, brought out from the darkened railway arches of Shoreditch to the beautifully lit spaces and places at Tobacco Dock, a converted snout warehouse in Wapping that dates back to the early 1800s. 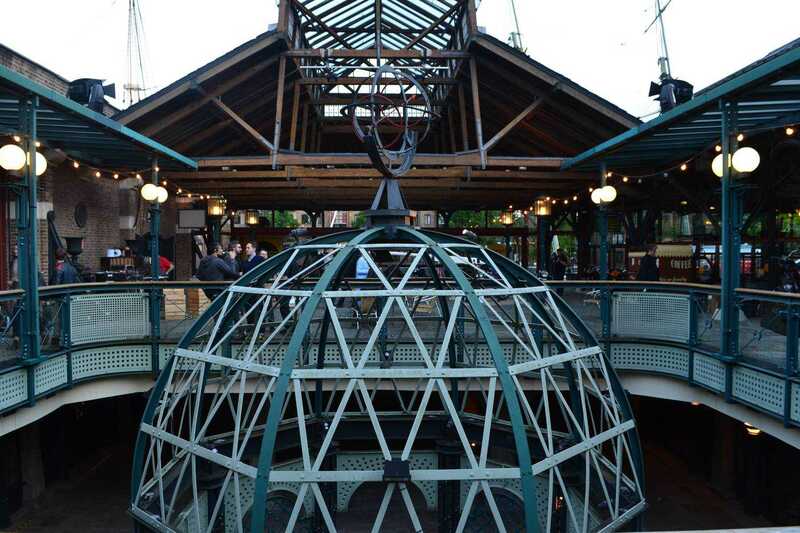 Tobacco Dock’s more recent past includes having been unsuccessfully mooted as a designer outlet village by none other than Gerald “total crap” Ratner, the venue was later used for a pop video by Orchestral Manoeuvres in the Dark and as a location for the retro TV series Ashes to Ashes. Interestingly the site was used as a billet for thousands of troops for the London 2012 Olympics before being bought by the current owners. 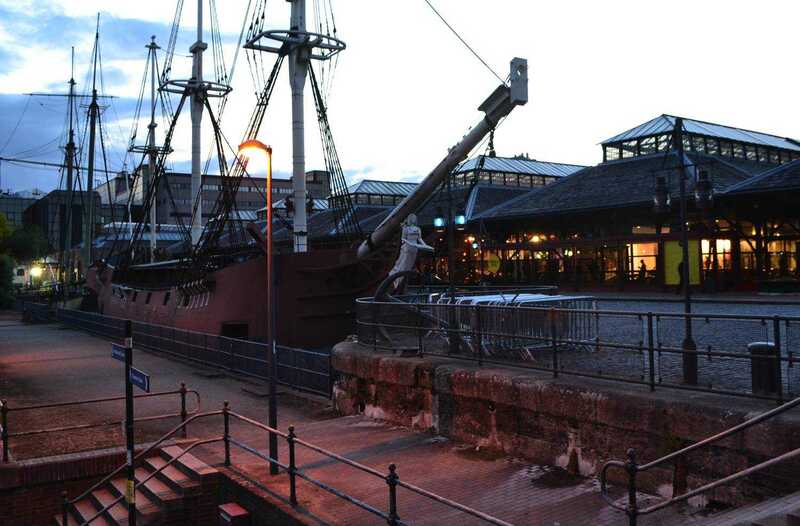 Visitors are welcomed by the sight of the ‘Three Sisters’ and the ‘Sea Lark’ – replica tall ships originally intended to be a bar and a waxworks. 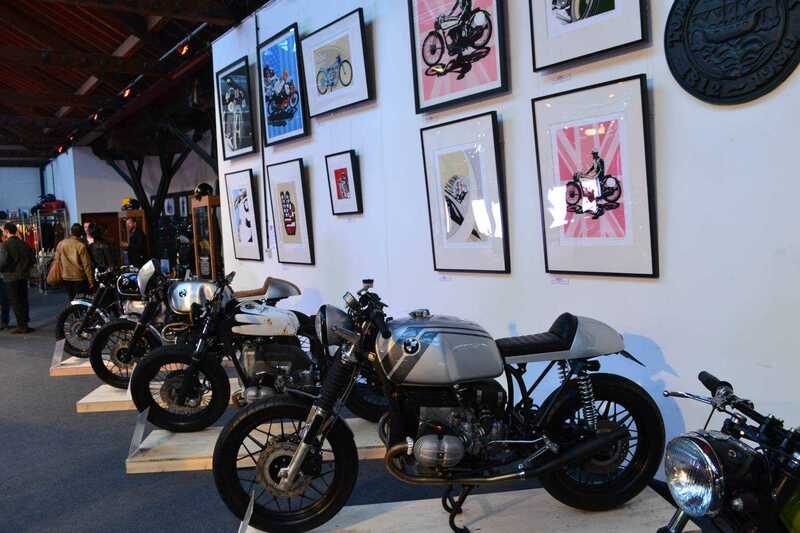 Against this spectacular backdrop, ‘The Event III’ used the available spaces well; the bikes mostly placed on wooden plinths throughout, surrounded by well-chosen artwork, upmarket lids and motorcycling haute couture, all bathed in natural light thanks to acres of glass in the roof. 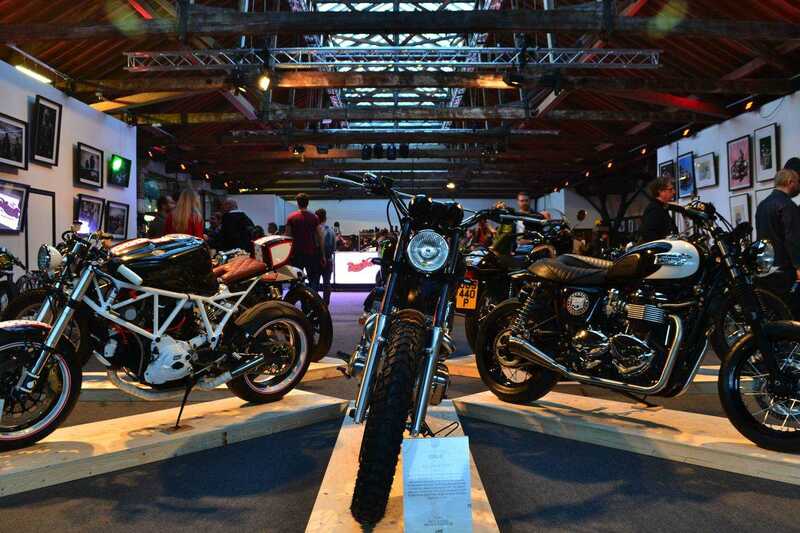 If you’re used to exhibitions like MCN’s London Motorcycle Show, ‘The Event III’ will come as something of a culture shock to you. It’s not really a show you could hold at the Excel or the NEC, you won’t see acres of Touratech accessories, lookalike giant trailies or Carole Nash stands. What you will see are displays by Barbour, Davida and Ruby lids and high-end leather and denim from Son of Stag among many other designer labels. Outside the main display area a strategically placed collection of bikes included a very industrial looking creation bearing a KTM engine, sitting on a paddock stand made from old spanners, with a rear fender fashioned from what looked like a Swedish car number plate. 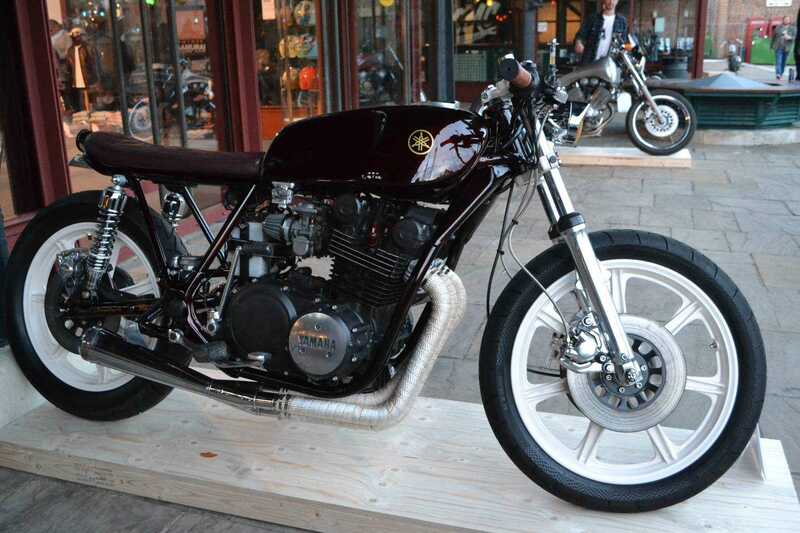 Nearby stood a beautiful Yamaha XS750, stripped back to the basics, with white painted wheels adding contrast to the metallic burgundy paintwork that worked for me. Inside, once through the free cloakroom the redundant shop units had been used to great effect to house collections of machines and apparel. Sponsors Triumph had a collection of their finest machines and apparel on display, while across the way ‘The Distinguished Gentlemen’s Lounge’ was the setting for ‘Thy Barber’, where massive beards were delicately pruned and ‘short back and sides’ my old Dad would have been proud of, were touched up. 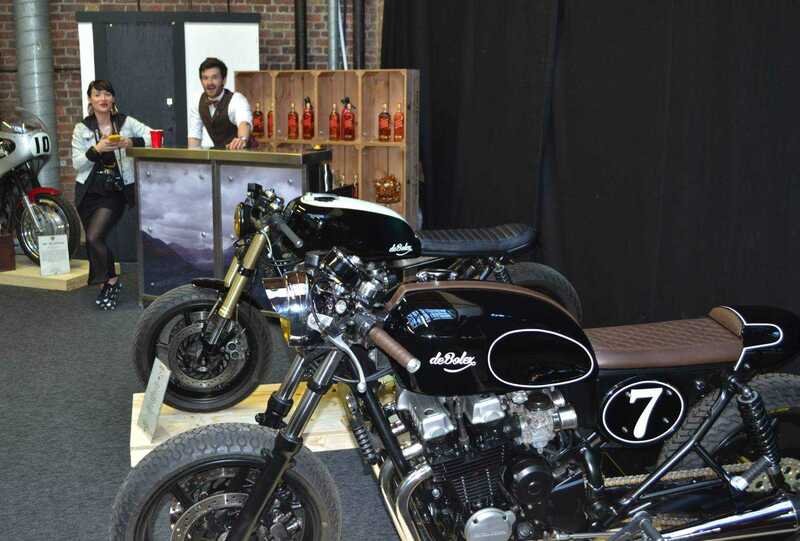 A brace of CB750s from de Bolex stood alongside the cocktail bar, complete with a bartender in a striped apron and bow tie, while a couple of Shoreditch beards waited for the barber’s chair on a large leather Chesterfield. 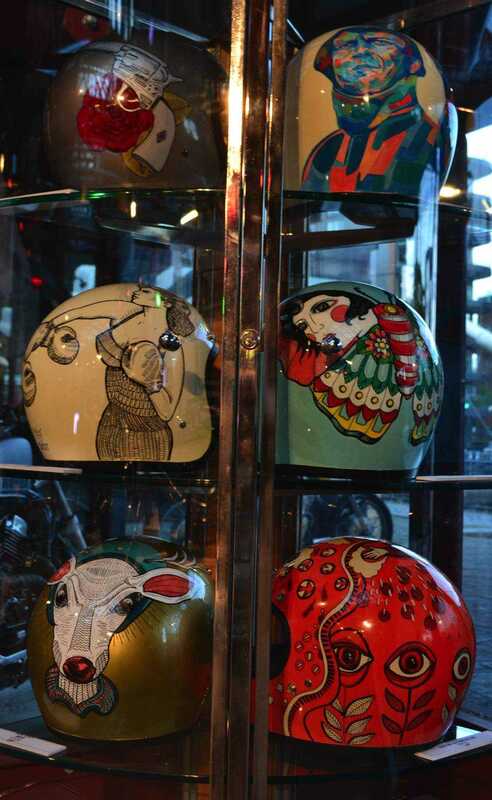 Next door in the Bad Boy’s Lounge was the tattooist’s studio – although I didn’t see him – along with a collection of tasteful Guzzis, and a pair of custom painted Ruby full face lids. These retail at around £800 in basic form so one can only hazard a guess at what they were worth with unique paint. 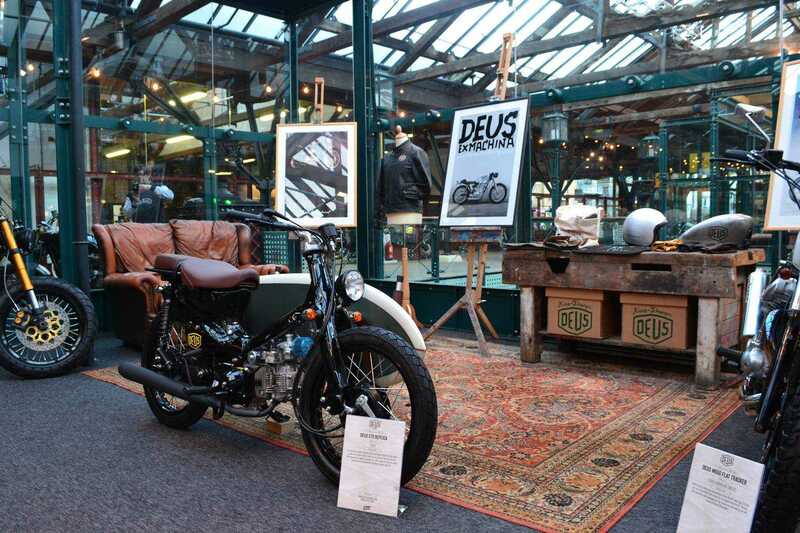 Deus ex Machina had a full lounge/man-cave set up, with the ubiquitous leather sofa, along with a couple of easels, a work bench, a large rug and a collection of bikes that included a Honda 70 replica complete with surfboard, and something that looked like an SR500 with a hill climber rear end, a carbon hugger snugly fitted to the fat tyre. 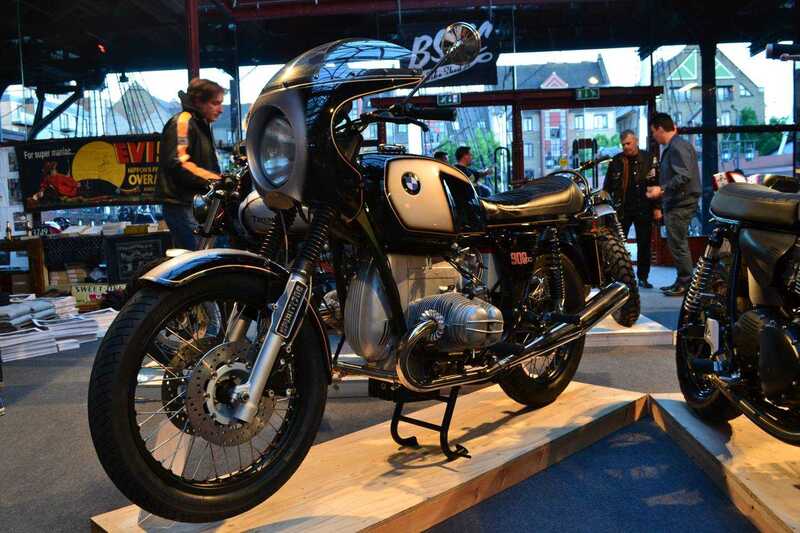 Elsewhere a stripped back BMW K100 wept a silent tear as it stood forlornly in the midst of people buying Maple Jeans, while across the room the first of many boxer twins caught my eye. 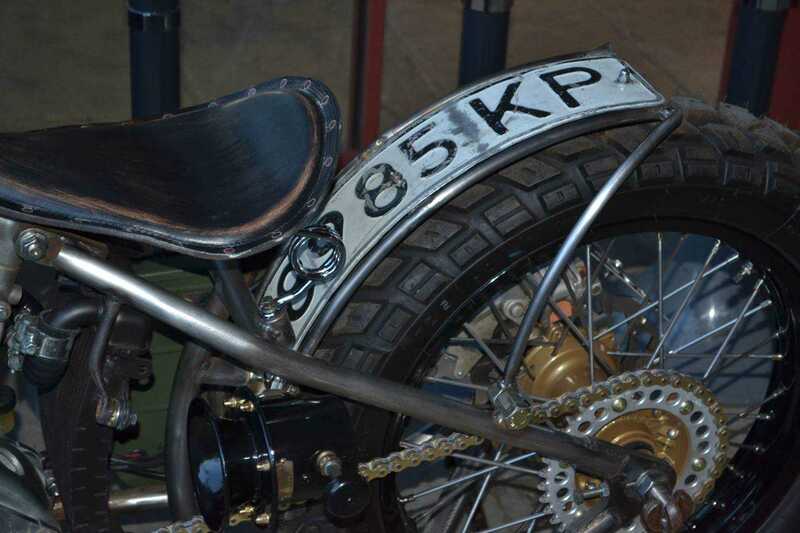 This one had external fork springs and a large square spotlight, while the one behind it was called ‘The Grim Reaper’. 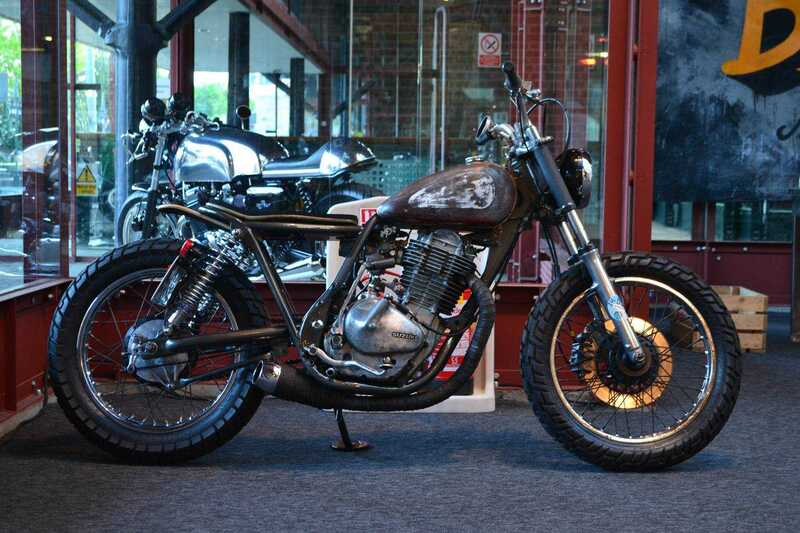 The old airhead twins have really captured the imagination of the builders, my favourites being from ‘Kevil’s Speed Shop’, a Paignton based outfit who turn out some achingly beautiful bikes. Well beautiful to me anyway, but then it is in the eye of the beholder. 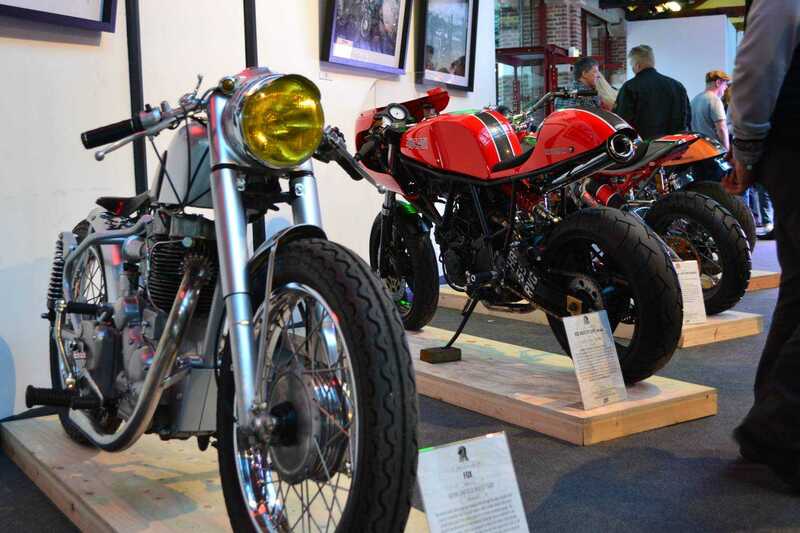 What set this year’s BSMC ‘The Event’ apart from last year’s was that there was more. More of everything. 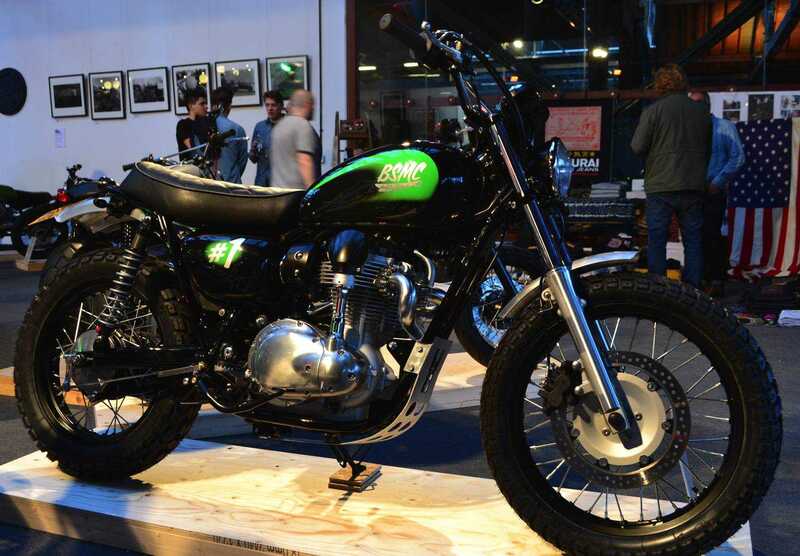 Obviously the popularity of the show has grown considerably, so there was more space, and the trend for customising bikes has expanded exponentially, so there were a lot more bikes to be displayed. 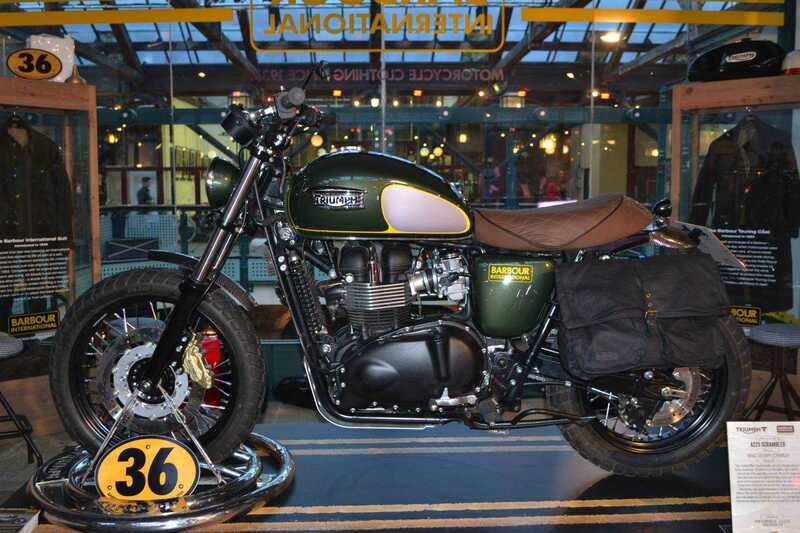 After writing my piece entitled ‘Underneath the Arches’ last year I expected to get slated for my comments about the preposterous tyres, and the lack of mudguards, but as far as I’m aware I didn’t. If I did don’t tell me. So I was very pleased to note this year that mudguards (fenders, call them what you will) seem to have become more popular, and quite a large percentage of the bikes now have ‘proper’ tyres fitted. Hurrah! 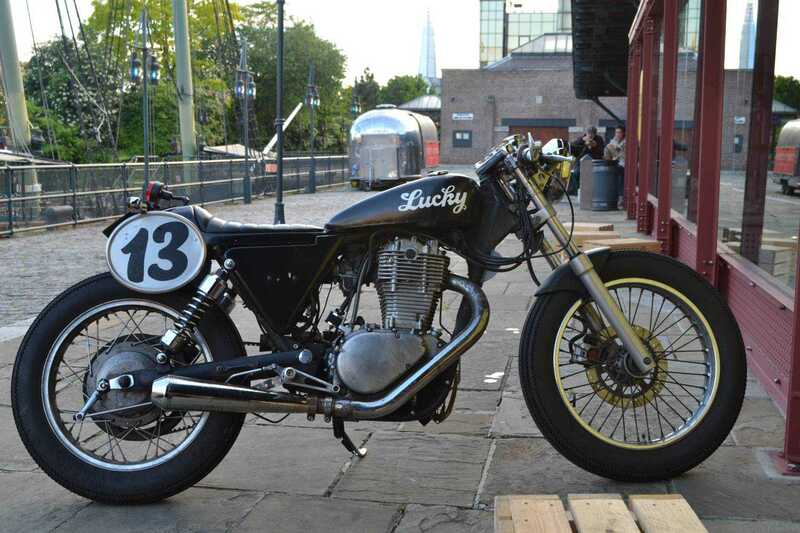 There were also more mainstream bikes present, which in my book is not necessarily a bad thing. 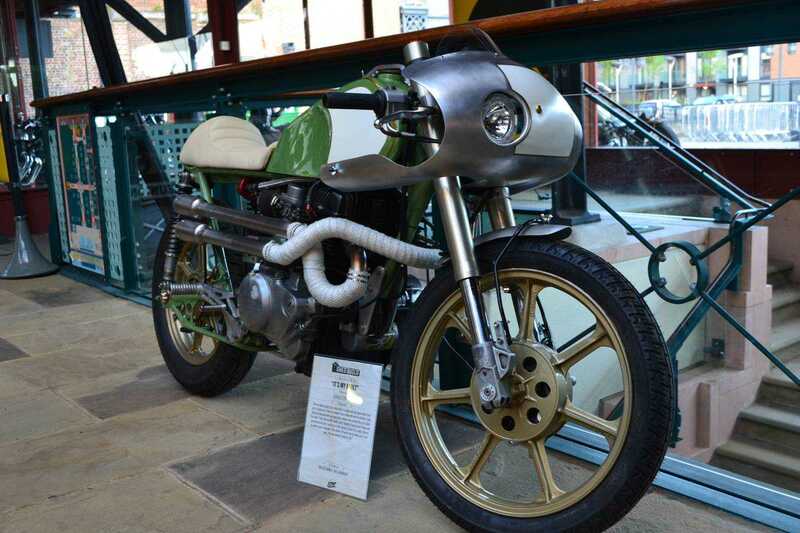 These included the ‘Barbour’ Triumph, which had been customised by Spirit of the Seventies, but still looked like you could ride it all the way to Cornwall and back in a day without walking like John Wayne by last orders. Another exhibit proffered by Spirit of the Seventies was a beautiful R90S, which had clearly been rebuilt, but also looked like nature – or in this case Spandau – intended. If it ain’t broke, don’t fix it. 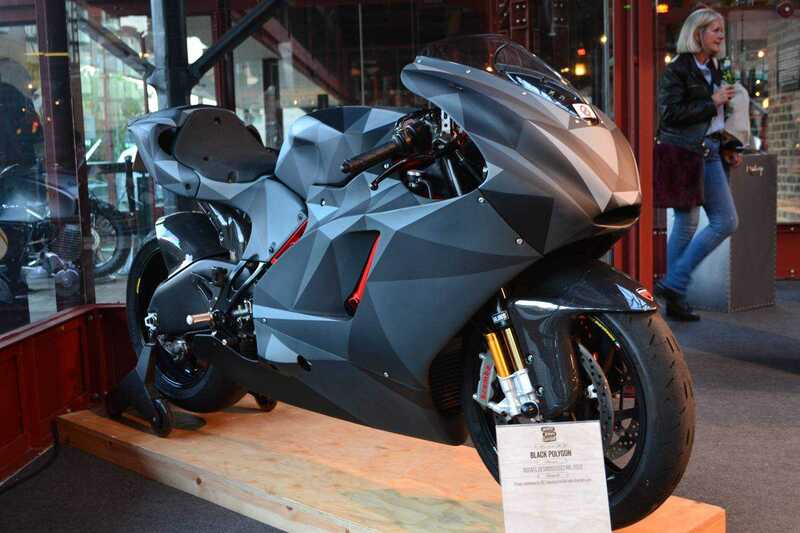 A Ducati Desmosidici named ‘Black Polygon’ was wearing an interesting paint job by Death Spray Custom – I’m not really sure how to describe it except to say that it reminded me of the film Tron. 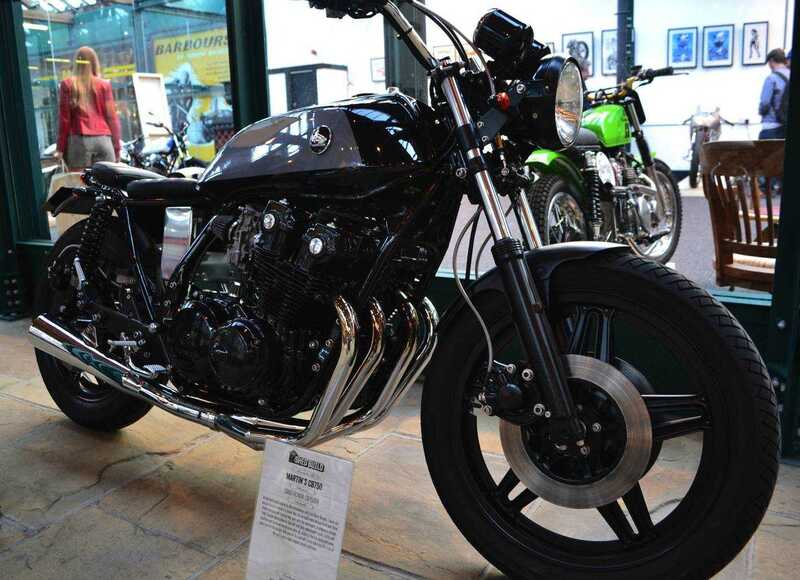 I could go on for hours talking about the bikes at the show, which for me is what it’s all about really, while some observers might have taken more photographs of the other guests. I’m afraid I wasn’t that interested in what people were wearing (apart from a young lady who always seemed to be in the same room as me wearing a red leather jacket and grey shorts). 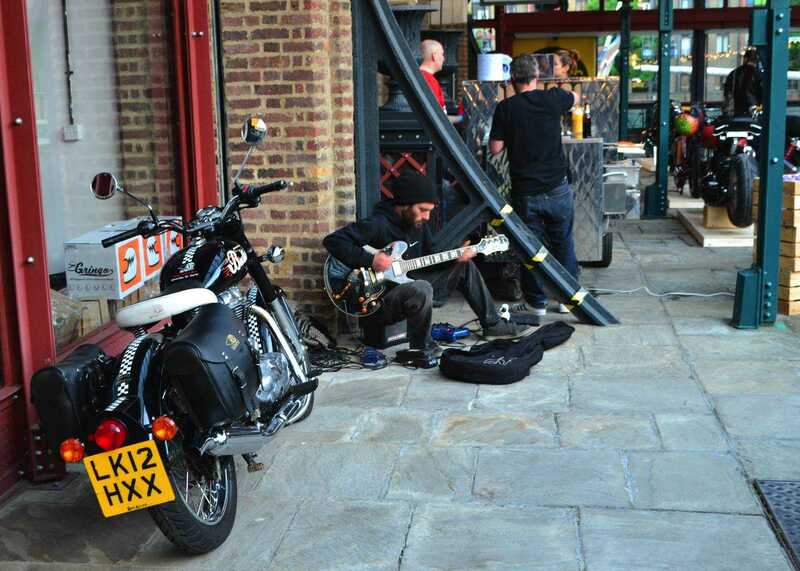 In the open atrium section a busker sat in a corner on his tiny Micro Cube amp next to a Royal Enfield playing seemingly never ending jangly riffs on a vintage Gibson. I thought I recognised a few bits, I’m certain the DNA of Hendrix’s ‘Little Wing’ made an appearance at one point. 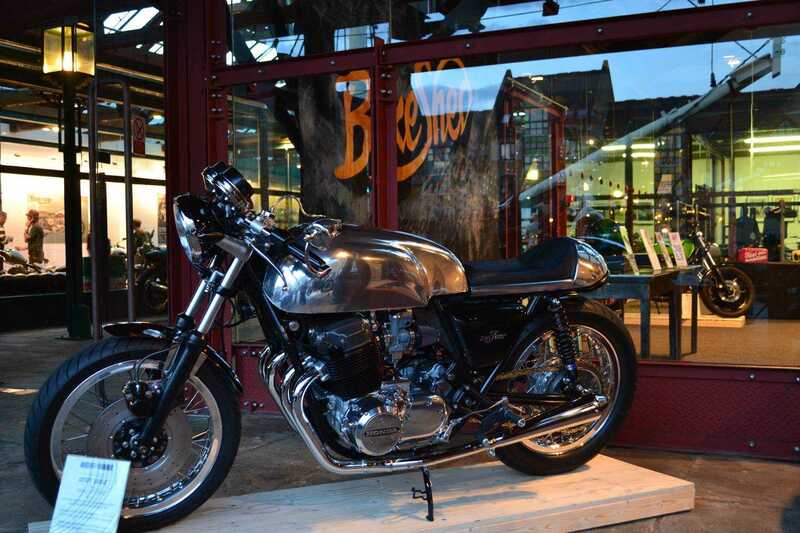 Nearby people eagerly waited to part with six and a half quid for a hot dog, while those with less of an appetite enjoyed a fat Cuban in the ‘Bonafide Smokes’ cigar lounge, with Zeus Motorcycles’ tasty little CX500 looking on. 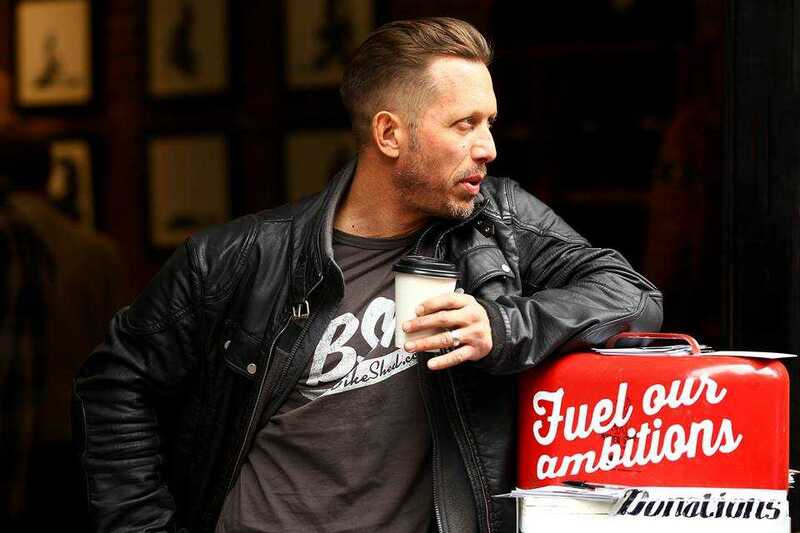 I believe Dutch has achieved his dream of “biking pulled-back into being about people, lifestyle and fun – something entertaining for everyone to enjoy” although with full face helmets costing the fat end of a grand and scarves costing £100, it’s not only gadgets for touring and adventure bikes that much of the younger generation can’t afford. Major manufacturers are starting to ‘get’ it. BMW’s Lego-like ‘build your own custom’ R nine T promotional video ‘Soulfuel’ features people my 20 year old daughter refers to as ‘hipsters’ and Triumph are dipping a tentative toe into the water too. 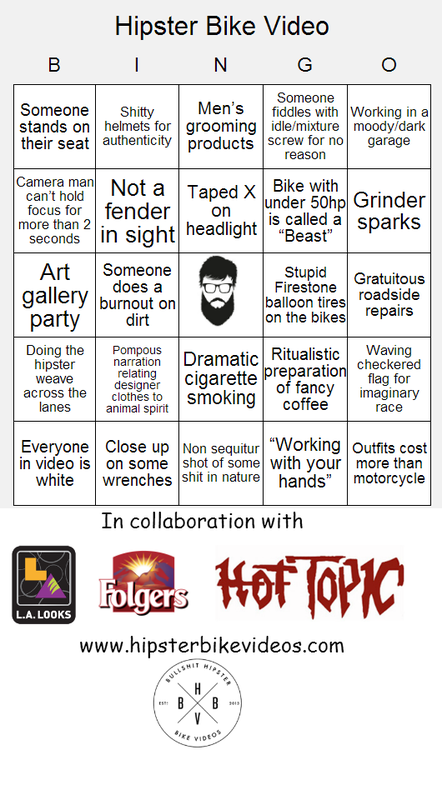 A website called ‘Hipster Bike Videos’ highlights the current trend for builders and designers to make short promotional films about the ethos that drives them, but their cruelly hilarious bingo card highlights the inevitable fact that the films do all seem to conform to a set formula, including outfits that cost more than the bike, burnouts on dirt, moody shots of darkened workshops, grinder sparks and riders doing the ‘hipster weave’ across the lanes. 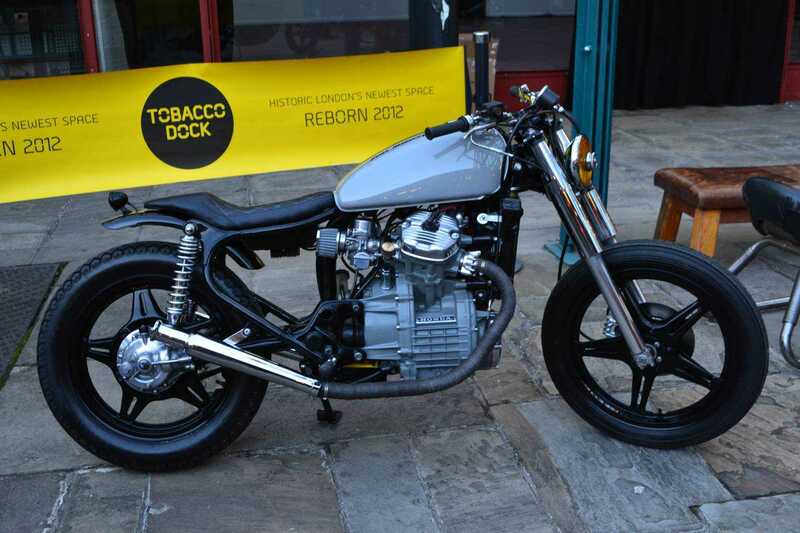 The bikes at Tobacco Dock are mostly beautiful, the surroundings are perfect, and there’s plenty of room to expand in the future. 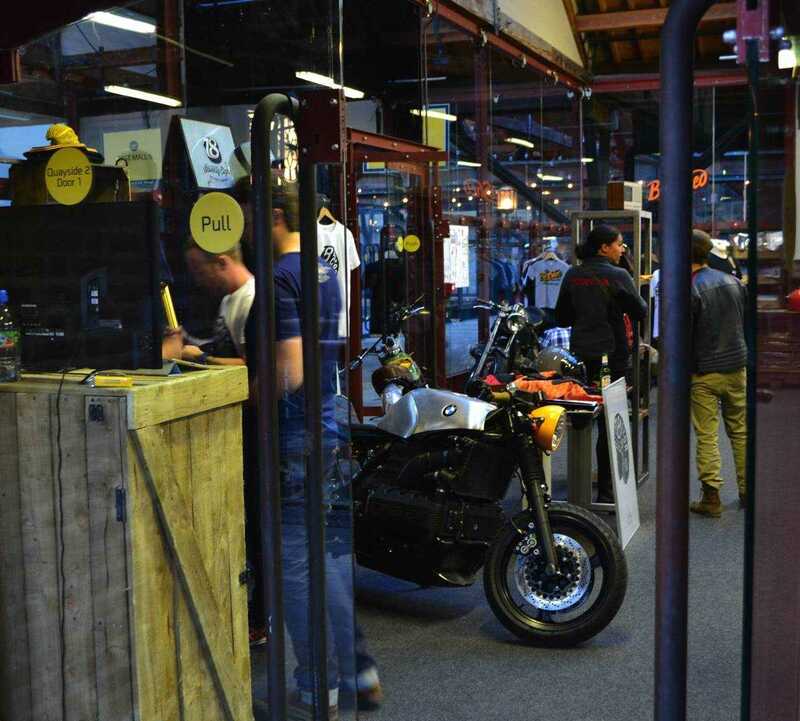 The huge numbers in attendance over the weekend, despite some dodgy weather indicate that The Bike Shed have either successfully started a trend or happened to be in precisely the right place at precisely the right time. I agree wholeheartedly with the sentiments of making your own machine on a budget and building in character and fun rather than landing yourself with a huge debt to enable you to switch modes on a traction controlled race replica, but while it has been noted that most of the ‘shed builds’ for sale are around the same price as the average commuter bike, the exclusivity and designer labels that the brat pack promote are in real danger of excluding the ‘Ordinary Joe’ that so many of those in attendance are trying to present themselves as. It’s a young persons’ scene. As a friend commented recently, it’s all about leaving your apartment and riding your trendy bike to the café and back – not quite the ‘café racer’ scene of old. In Dutch’s own words “They (young people) just want a cool ride – like we did when we were 17 – and they have limited budget”. Anything that makes motorcycling popular is fine by me, but I don’t see this particular fashion lasting that long before reality steps in and ruins the party. Enjoy it before it gets watered down and evolves into something else. Fair comment Nick, I’ve passed it on to Dutch via Facebook so watch this space to see if he responds. 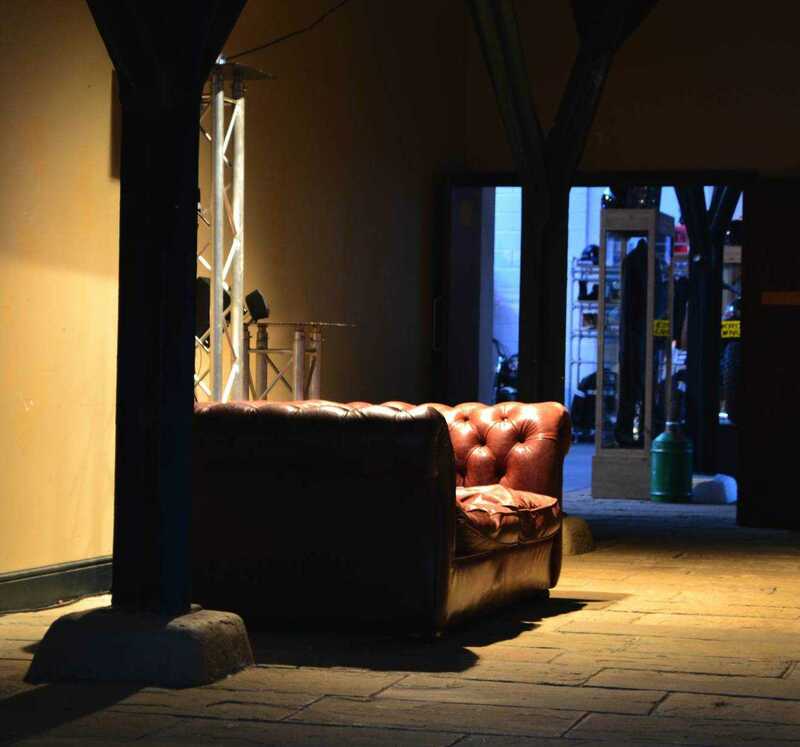 We’d love to do more events in new places, and we will – eventually, although it’s Paris that is next on our list, as I type. 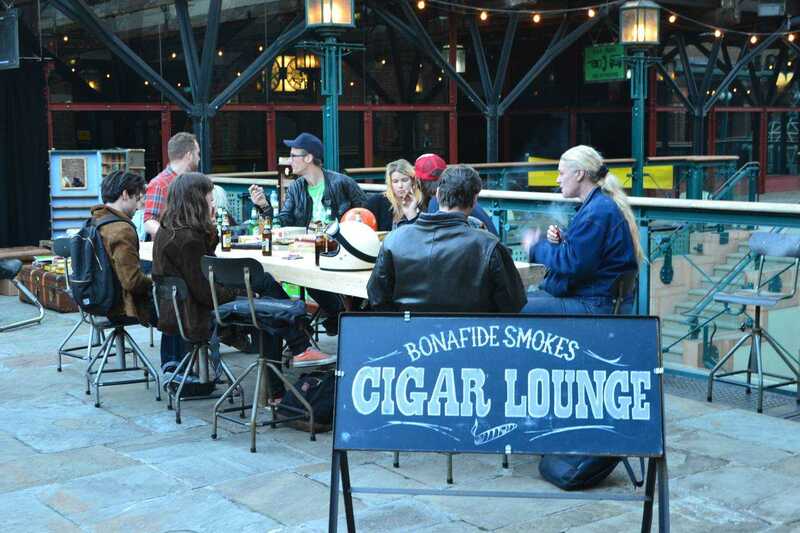 We started our events in London mainly because it’s our home, but people attended from all over the UK and Europe. The first guy to arrive turned up an hour early on his GS1150 – from Glasgow. 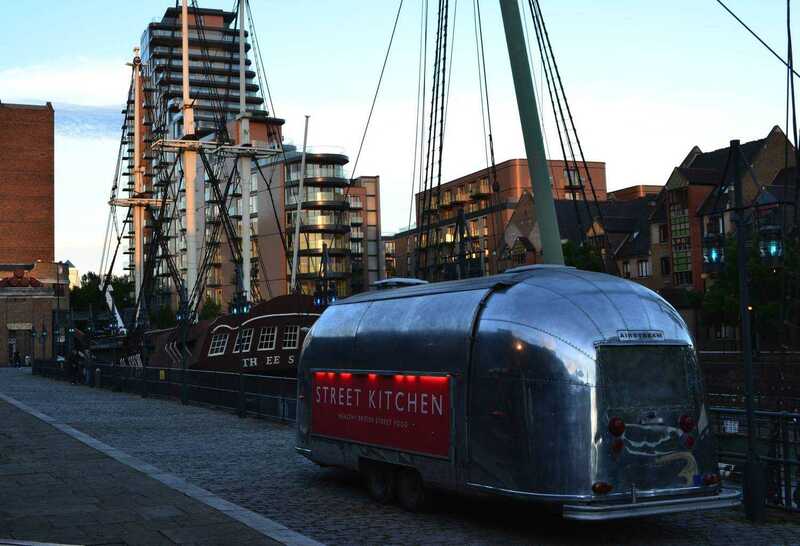 There was no “N/S divide” factored into our plans and the builders came from all over the UK (and Europe). I’m a Paisley-born son on a Staffordshire-man myself, but it’s fair to say that we will probably do most of our bigger events in the big capital cities that we can be sure will pull a decent crowd and attract exhibitors and sponsors. We don’t mind what latitude they’re at. 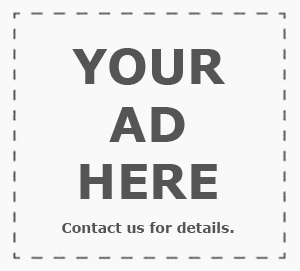 …Maybe someone local can help us with a Manchester show? 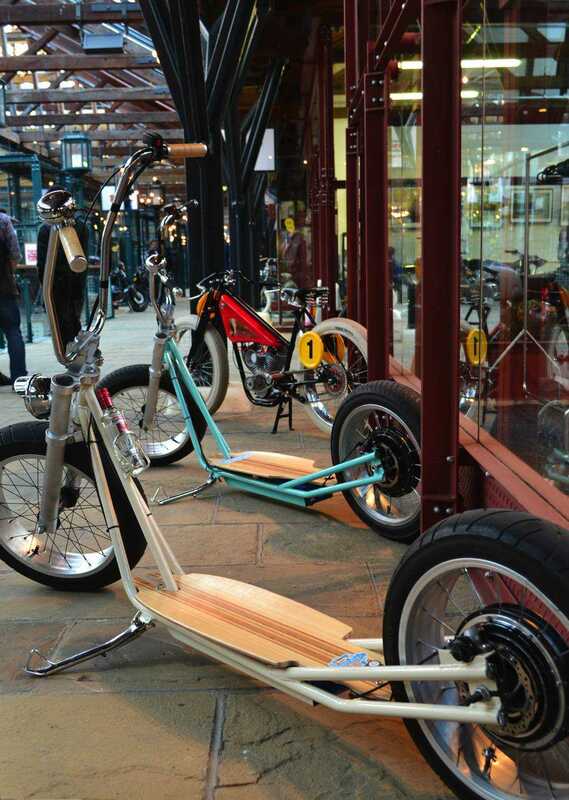 What I’ve learned in recent years is that since the demise of the Â£30k chopper, bike building does not earn many people a decent wage. 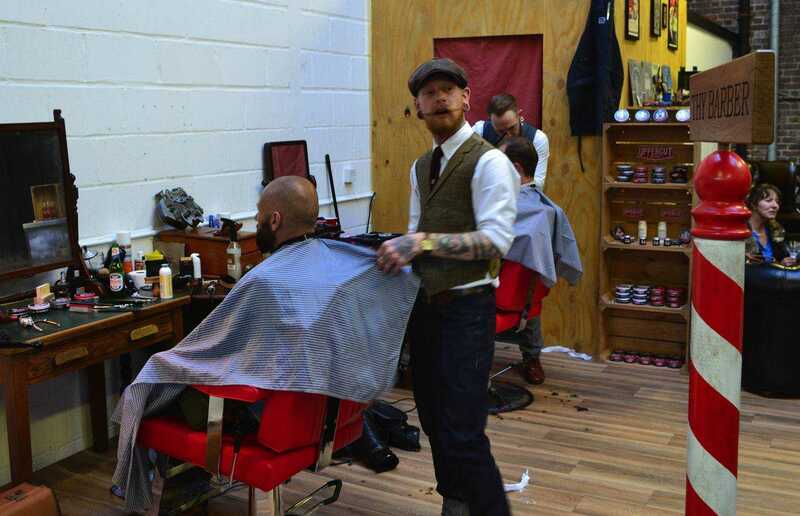 It’s a passion and a lifestyle for mos,t and many struggle to pay the rent. 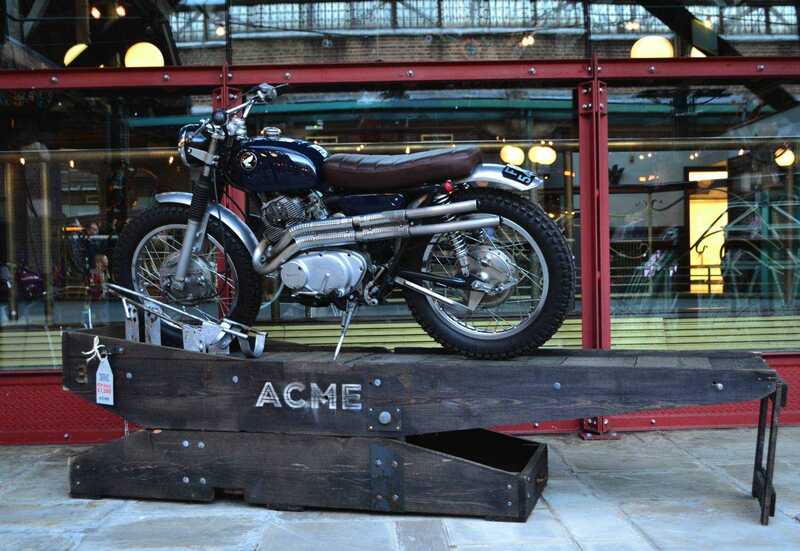 At shows like the Bike Shed we try to show bikes that have merit whatever the cost, so we won’t reject something because it’s not cheap. 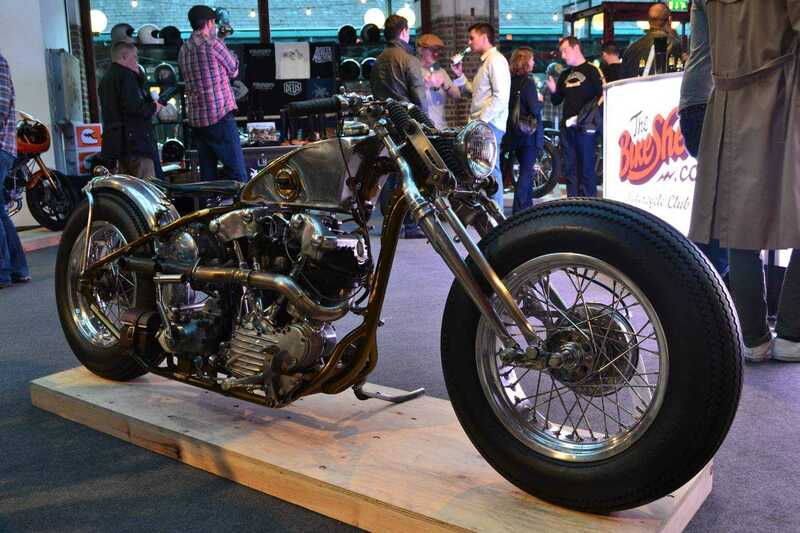 It’s not a poor-man’s bike show, or a rich-man’s bike show, it’s just a bike show…. Our event shows the state of the custom scene as it really is. 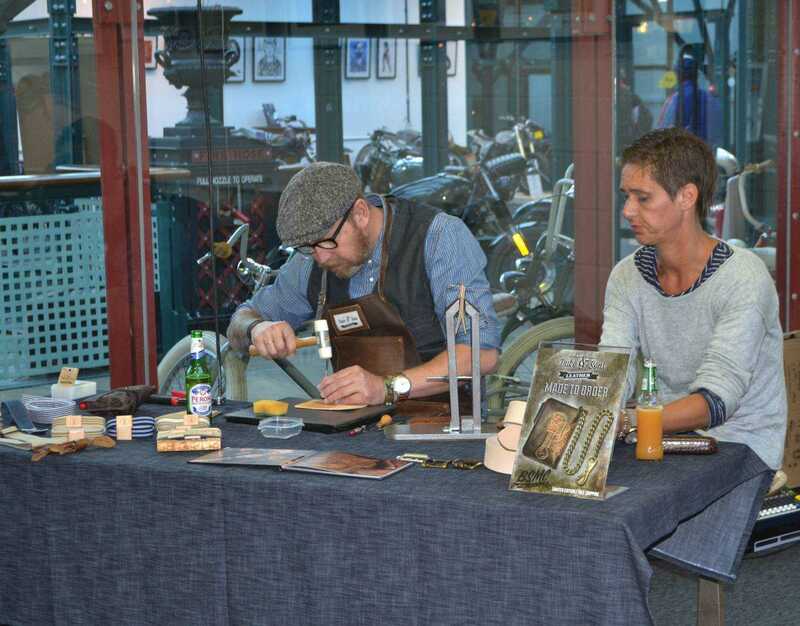 Our favourite outcome of the shows is that loads of our visitors are inspired to build their own custom machines – as they recognise most of the cost in any Pro custom build is the professional man-hours, and some people are skilled enough to do this work themselves. 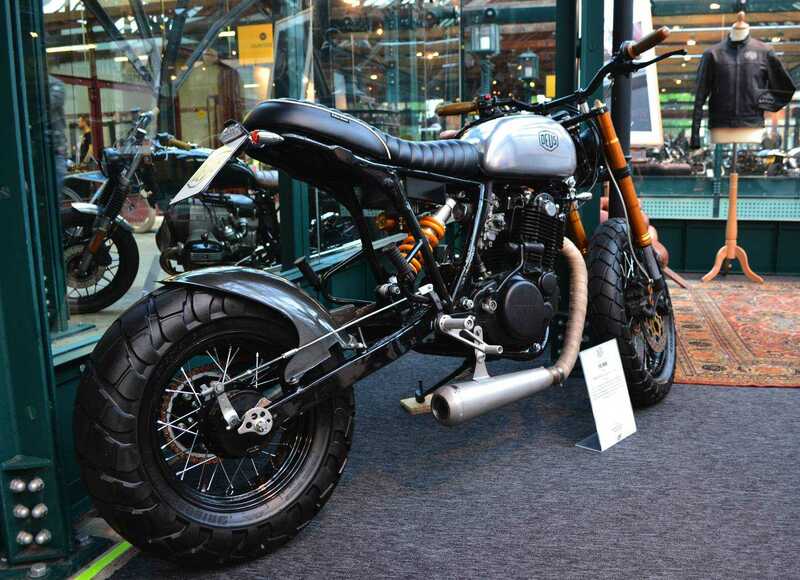 These bikes may be the ‘everyman’ builds, but bear in mind that some of the Shed builds we show would have to be sold for tens of thousands of pounds if the builder tried to account for their time at going rates. 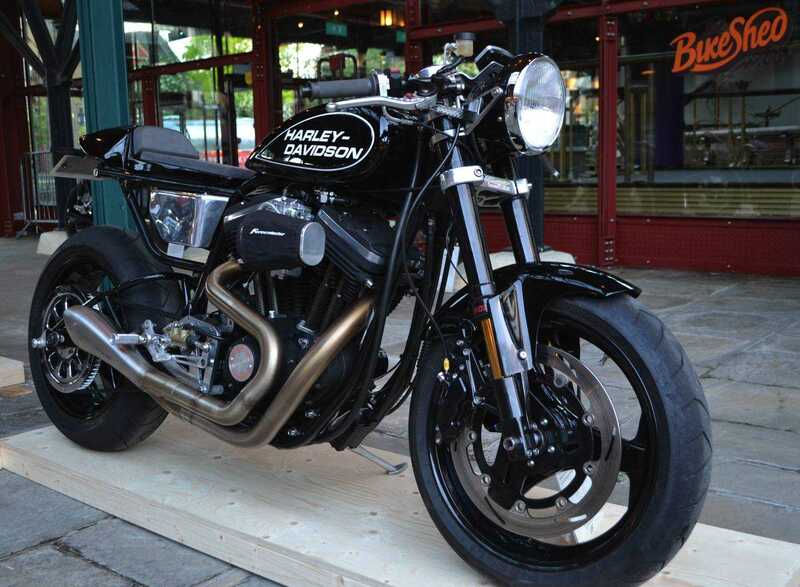 Ultimately the price of any custom bike is simply what the buyer will pay to have the bike of their dreams, irrespective of the actual cost – or what a builder wants to get for it. Many customs are sold for under the ticket price and some make a loss for the builder, in real terms. Those who charge too much don’t sell many bikes. Those who present good value for money (at any price, high or low) do sell. 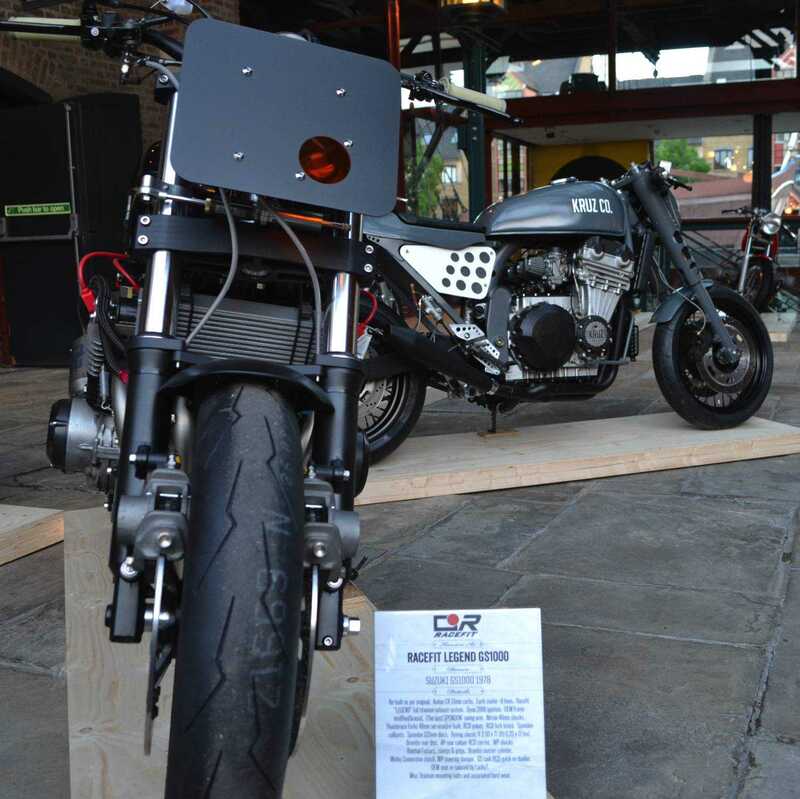 …Next time you wonder why a 1983 R80 custom costs Â£9000 just add up the parts, man hours, donor-bike, rent, rates, design, paint, engine rebuild, and all the hidden costs these builds need to cover, and you may come to the conclusion the builder is selling it too cheap. 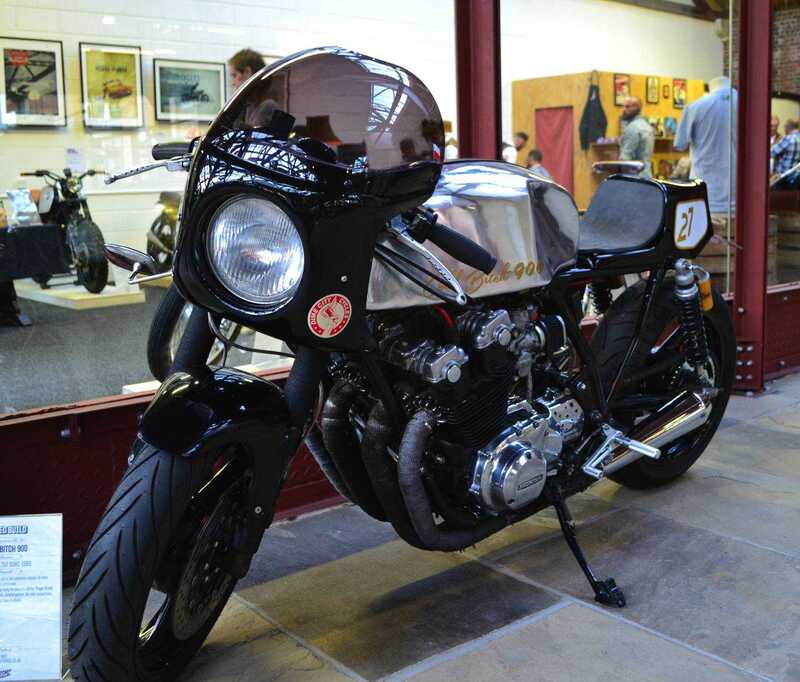 …Whether you can afford it or not, or whether you would personally pay that much for an air-cooled 80’s bike, is another matter entirely. Loved the article, agree with the sentiments and the iseal but can’t get away from the fact that it doesn’t appear to have been promoted outside London and there are many more youngsters outside London than live in London. And those prices! Exclusivity at an enormously inflated price will see this run a very short course unless it refocuses on affordability, unless that is, that it is really aimed at milking cash out of overpaid ‘bankers’ who want a nice piece of 2 wheeled imagery to go with the Ferrari in the garage and somewhere new to hang out.